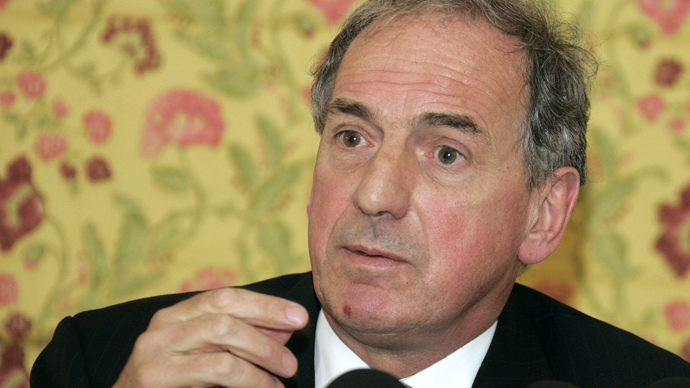 Britain’s military strategy in Afghanistan was “completely bonkers” a former Foreign Office minister has said. The decision to send troops to Helmand province in 2006 was based on “badly flawed” intelligence and the UK made “terrible mistakes” during its campaign there, Kim Howells said. Politicians were reluctant to question military advice and the government had little understanding of what the campaign was like on the ground, the former Minister of State for Foreign and Commonwealth Affairs added. Speaking to the House of Commons Defence Committee on Tuesday, the former Labour politician said he was warned by an American colonel in Helmand’s provincial capital that Britain would face a confusing, deadly region where it was unclear who was shooting at you, or for what reason. However, on return to London the British government appeared “sanguine and relaxed” about sending 3,600 troops to the province to support reconstruction. Howells, who was responsible for Afghanistan at the time, said he was given such poor quality information before sending troops to Helmand that during one trip, he had to hitch a ride on an Afghan helicopter to see the situation for himself. He told the committee that a “very distinguished and clever general” had explained the Army’s strategy for how security and stability would seep across the province from British garrisoned areas. “It was completely bonkers,” he said. He told the committee, which is investigating how government decision-making failed during the Helmand campaign, that the decision to enter the province had been made at the highest levels of government with little consultation. Howells’ comments echo those of a former British ambassador to Afghanistan, who told the same committee in December that those running the war fell into “a massive act of collective self-deception” about the prospects of success. The former Foreign Office minister is well known for his outspokenness. He called for British withdrawal from Afghanistan in 2009, claiming that the money would be better spent protecting the UK from terrorism. Now retired from politics, Howells has painted scenes of the Afghan war based on sketches he drew while on trips there. Speaking to BBC Daily Politics in October 2014, he questioned the UK’s right to invade the nation. “People have died as a consequence of political decisions that I was part of,” he said. British troops withdrew from Afghanistan last November after a 13-year presence in the country, during which 453 military personnel died.